There seem to be two truths in the modern world – everyone seems to be time-poor and TV and movies love a zombie! Well the second one is probably stretching it but with Halloween approaching we at the Environment Agency have been considering the question – how frightened should we be of flooding? The facts are stark: 5.2 million homes are at risk of flooding in England. Just as stark is the low level of awareness of flood risk in those households. Of those 5.2 million less than 10% think they are at risk and even fewer have plans about how to respond if a flood hit. In fact – worryingly – when it comes to preparation, a recent YouGov poll even found that more than 10 per cent of people surveyed already have a plan for the something purely theoretical – a zombie apocalypse. 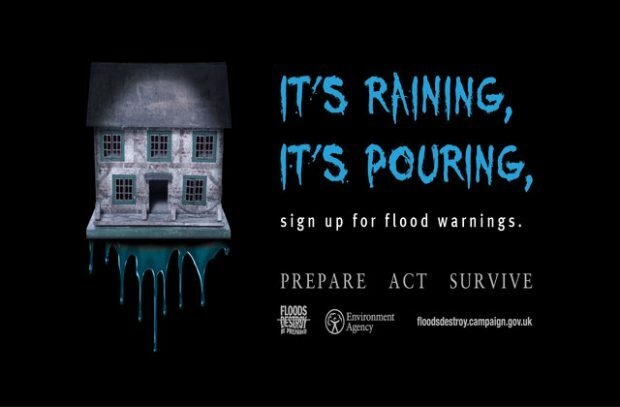 Flooding can be scary - which is why our Halloween campaign encourages people to know their risk and take action in advance. So how frightened should we be of floods? Well, to put it bluntly, floods kill. In the past 10 years 36 people have died as a result of flooding in England and Wales. Many more have had their homes and businesses flooded – and the trauma of this cannot be underestimated. Recent research from Public Health England has shown the ongoing mental health impacts floods have on the people affected – it also showed how people are more resilient if they have prepared in advance and taken action when they receive flood warnings. And even if you don’t live in a flood risk area, when flooding comes it can be extremely hazardous. What a lot of people don’t realise is that it only takes 30cms of moving water (the height of your old school ruler) to move a car. In the floods of winter 13/14 the AA reported a staggering 642 rescues on Christmas Eve. Each of these rescues has the potential to put lives at risk. Our flood warning information on GOV.UK is updated every 15 minutes and can help plan a safe journey. The dangers are real – and set to increase. But when everyone is so busy how can we get people to spend just a few minutes checking their flood risk and taking the few simple actions that could save their lives? A few years back in the US, the Centre of Disease, Control and Prevention (CDC) decided to tap into the new-found love of zombies in popular culture to raise awareness about the need to prepare for emergencies. Although not serious in the images they used, the intent was very serious. Whatever the emergency how would you prepare? What would you save from your home? How would you keep safe? What essentials would you need close by and who are the most vulnerable around you? This year we are also tapping into all things Halloween to ask people to just stop and think for a moment about whether you know your flood risk and what actions to take to stay safe. Our message is serious: the horror of flooding is real, but there are things that you can do to keep yourself and your loved ones safe. 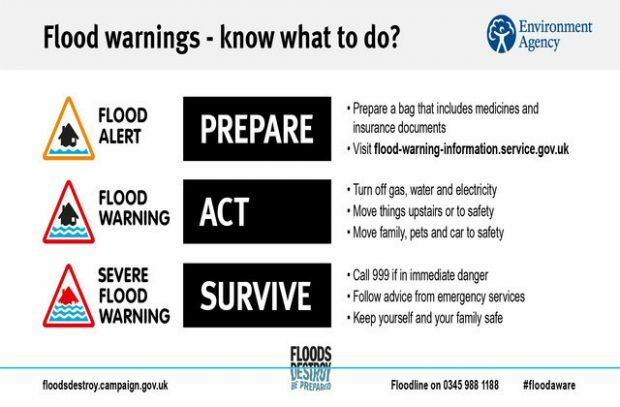 Our three point plan explains simply what to do in a before flooding and when it happens. We are asking people to visit the campaign website where you can check if your home is at risk, sign up for warnings and see our ‘PREPARE. ACT. SURVIVE.’ flood plan, which will help keep you safe and reduce the impact of flooding. And returning to the modern truths - we are all time poor – but in only a tiny part of the time it takes to make those costumes for Halloween or carve that pumpkin - you could have taken a few simple steps to check your flood risk and help, at least reduce, one possible nightmare. We will run a further Flood Action campaign later in the year so please keep an eye out for that too. John Curtin is Executive Director for Flood and Coastal Risk Management at the Environment Agency.